Gretta Ray was playing her original song Drive to a handful of fellow students in a music room at Princes Hill Secondary College in August last year when triple j's Matt and Alex snuck in behind her with a huge flag, much to the delight of Gretta's captive audience. It didn't take long for Gretta to realise that she and her guitar were not alone anymore and she giggled, turning around to be told she was the winner of triple j's Unearthed High for the very song she was playing. It was a great moment, and one that Gretta didn't expect for she was content enough to just be a finalist of the popular contest. But win she did, and of course the talented songwriter is now on her way. And then in October, another win occurred when Gretta won the top prize for the competitive Vanda and Young Songwriting Competition, taking home $50,000 for the same tune. But these awards aren't just the result of one song, incredible as it is, rather a lifetime surrounded by and committed to learning her craft well. The musical complexities found in her singles Drive and Unwind, along with four tracks from her debut EP Elsewhere are striking and the mark of an intelligent, thoughtful musician. Despite the accolade and major invitations to perform which ensued from the wins, Gretta continued to stay dedicated to her VCE studies, knowing that all of her education including non-musical subjects, would be beneficial to her craft. 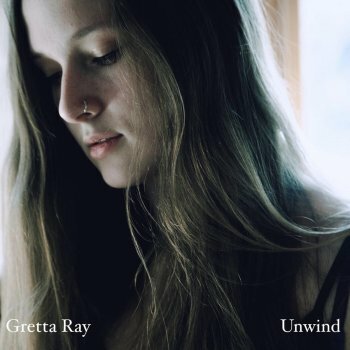 A more thoughtful, grounded, focussed, and dedicated 18 year old musician would be hard to find, and after a summer in Australia, Gretta is on her way to Nashville to begin to produce her next project. Gretta Ray speaks with Music Love about that tremendous winter's triple j day, her new music video, and offers some advice for high school students who want a career in music. Music for me has always served to represent a sense of safety, security and comfort. I associate music with family and growing up, because that's when I learnt the most about it. Growing up, I was listening to music all the time around the house and in the car. It has also transitioned into representing a sense of confidence within me. I feel grounded, centred and whole when I am writing and performing. That is the most 'me' I can possibly feel. For me, there's a kind of confidence that is only brought about by music and nothing else in my life. How did you feel to have Drive In the Hottest 100? I was absolutely over the moon! I am incredibly grateful for how high up it was. It meant that it had reached a range of people within the triple j audience. Regardless of their taste in music, it had touched a lot of people and that is the one thing that you can ask for as an artist; for your music to resonate with a range of different people. I'm stoked we were able to achieve that with Drive. Where was the Drive video filmed? The video was filmed around the Great Ocean Road. Some of it was shot in Kennett River, and some in Apollo Bay. We filmed the clip with Melbourne director Josh van Cuylenburg in the space of a day, and it was probably the most perfect weather conditions that we could have asked for. Describe the moment Matt and Alex surprised you at school? I remember feeling so overwhelmed with joy that I got to experience something that special in the presence of my classmates who had contributed so much to my growth as a musician. Being in class with all of my friends and being able to experience it with my music teachers was amazing. I've grown so much as a songwriter whilst being a teenager and my music teachers at Princes Hill contributed so much to that. It was truly incredible to experience that moment with them. I was also so excited to meet Matt and Alex because I had spoken to them before. It's such an honour to be invited into the loving and giving community that triple j is. That day was really special. How important is triple j to you? So important, not just for me as an artist, but because I know how much they do for many independent Australian musicians. We are so lucky to have an outlet like Unearthed and people who are willing to listen to the art that we're creating; to respect it and encourage us to continue to be creative. I think it's really amazing to have a platform like that, particularly for younger artists as well. It's very inspiring. Who are you favourite Australian women in music? Clare Bowditch. As a radio presenter, as well as being so incredibly supportive of other artists, whilst writing amazing songs and being a mother - I am in awe of what she does for people, while continuing to create music herself. Bridget Hustwaite from triple j / triple j Unearthed. From my experience, Bridget loved my music and was immediately interested in learning about me and where the songs were coming from. She became genuinely interested in me as an artist and also as a person. That's something Bridget does a lot with the music community - particularly with female artists; she's a really excellent bubbly friend. Bridget was one of the people within the triple j community that I wanted to meet the most after winning Unearthed. Your song Unwind is so musically interesting! You are doing all sorts of things with the chord changes and movements. You do it a little in Drive, and your other songs particularly Blank White Canvas and Don’t Let Her Love Hold You Down, but this song is next level. Tell us more about that song. Thank you! Interestingly enough, Unwind turned out to utilise a more complex chord progression in comparison to the other works of mine. I wrote it under some time constraints because I was in my final year of school and it was for the purpose of the triple j Unearthed prize. When I was initially writing it, I realised that the chords I was using were chords I used a lot of the time. I wanted to change it up a little bit in the process of composing, so I added some more interesting sounding chords to create a sense of contrast and difference. I didn't want it to have a lot of similarities to Drive due to the fact that it was the follow up single; I wanted it to stand out on its own. My wildest musical dream is to find a way to stay completely in love with music and songwriting throughout the entirety of my life. I feel so lucky to be doing it right now. My dream is to continue to portray that energy, be positive, open, and willing to share and connect with people through music. How do you work on your craft – your voice, your songs, your musicianship? I work on my songs by listening to a lot of music, reading poetry, talking to people, and spending a lot of time thinking and analysing how I'm feeling. Occasionally I'll analyse how others are feeling too. I do a lot of singing around the house and I've been doing various forms of vocal training since I was five years old. How do you describe your sound/genre? At the moment my sound is transitioning from what I interpreted initially as an alternative folk sound when I released my first EP. I am approaching melodies I'm coming up within a more pop style - producing the songs in a more pop sound, with a bit of an underlying country inspiration. Kareena Zerefos is an incredible Australian artist. What I admire most about Kareena is her interplay between animalistic imagery with her depiction of people. I love the relationship between the two in her work. Any advice for high school students who are obsessed with music? How did you balance school and your art? I reminded myself that a lot of what I'd chosen to study at school was in order to influence my art. So I strived to do as best as I could in my subjects because I knew that the more I got out of them, the more I could utilise the information I was learning to inspire my songwriting. Kennett River (in Victoria) and surrounding areas, because I spent a lot of time growing up there. I'm very attached to it. I am headed to Nashville to record the album I'm currently writing in August, but before that I have a trip to London, a few shows and a lot of songs to write.